This February half-term, we've once again partnered with Fit For Sport to stage a fun and healthy alternative to traditional holiday camps. Fit For Sport Activity Camps offers an engaging approach to childcare and are suitable for boys and girls aged from four to 12 years-old. 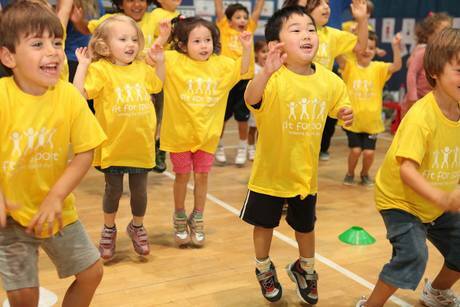 Running at the Copper Box Arena between from Monday 18th February through to Friday 22nd, each day will offer children something fun and different to do. Experienced and fully qualified staff provide childcare in a safe and supportive learning environment, while making sure children have fun, make friends and keep moving during the holidays. Activities include sports, games, arts and crafts. All Fit For Sport staff members are trained, DBS-checked and full of enthusiasm to deliver fun and inclusive activities, to keep children entertained all day. We also have some great activities over at the London Aquatics Centre, including the following.